Try a whole new style of painting! Acrylic paint pouring allows each artist to create a one of a kind marbled masterpiece. 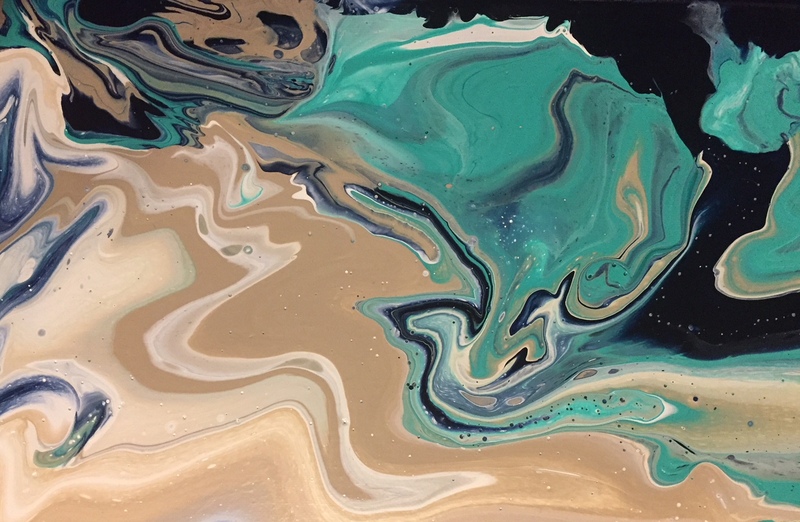 We will be doing what is called a "dirty pour" where flow medium is added to acrylic paint, colors are stacked in a cup and then poured onto a canvas to create a flowing effect. All instruction and materials are provided. Participants will need to pick up their paintings at a later date due to drying time. The cost is $15 per participant and registration is required at the link provided.